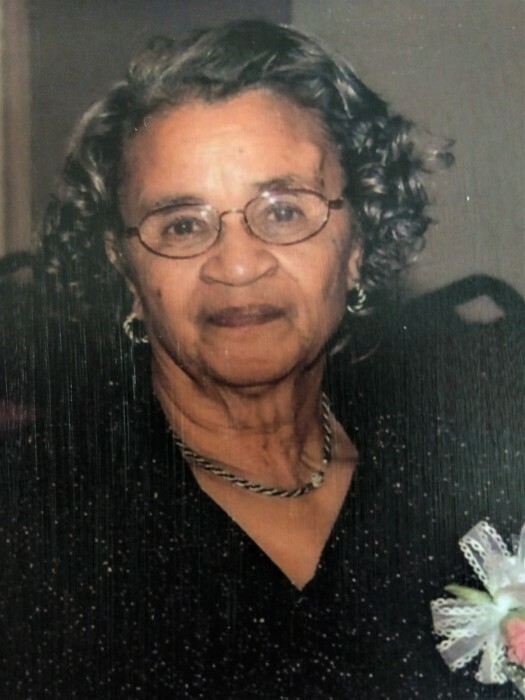 In profound sorrow, the Britt Funeral Home and Cremation Service join with the Stewart-Smith Family to announce that Mrs. Rosa Stewart-Smith of 4983 East Washington Street, La Grange, NC, at age 87, has completed her earthly journey. Mother Smith transitioned from labor to reward on Saturday, June 23, 2018 at her residence in La Grange, NC. She was born in Sumter County, South Carolina on March 26, 1931 to the late Mrs. Maggie Singleton-Lang and Mr. Eugene Lang. She received her education in the Sumter County public school system. Later in life, Rosa met, dated and married, Deacon Robert Lee Smith of La Grange, NC. Mother Smith was a loving and faithful member of Ebenezer Missionary Baptist Church. She served on the church’s Mother Board until her health began to decline. Mother Smith was preceded in death by her parents, Mrs. Maggie Singleton-Lang and Mr. Eugene Lang; her sons, Alfred Stewart and David Stewart; her daughter, Janice Pridgen; her sisters, Vermell Henry (Donald), Dorothy Smith, Juanita Diaz (Rennie) and her brother, Henry Lang. A celebration of life service will be conducted on Thursday, June 28, 2018 at 12:00 p.m. in the Ebenezer Baptist Church, 209 South Carey Street, La Grange, North Carolina. Pastor Michael A. Johnson will officiate. Interment will follow the celebration of life service in the Eastern Carolina State Veterans Cemetery, 164 Longs Plant Farm Road, Goldsboro, North Carolina, 27534. Also, a public viewing will be held on Wednesday, June 27, 2018 from 6:00 p.m. to 8:00 p.m. in the Britt Funeral Home Memorial Chapel, 414 East Washington Street, La Grange, North Carolina. Mother Smith leaves to cherish her loving and precious memories to her loving and faithful husband: Deacon Robert Lee Smith of the home; her sons, George (Cassandra) Stewart, Reuben Stewart, Vincent Smith (Cathy); her daughters, Jewell Fortune (Roy), Ricky Ann Stull (Robert), Doris Stewart, Yvonne Bell (Earl), Lillie Harris (Aaron), Christine Simmons (David), Maggie Stewart, Ava Truitt (Anthony), Edith Caine (Horatio); her daughter-in-law, Rachal Stewart; her brother-in-law, Ernest Smith (Patricia); her grandchildren; great-grandchildren; great-great grandchildren; and a host of nieces, nephews, cousins, other relatives and friends. On Thursday, June 28, 2018, the family members and friends will assemble at the residence of Deacon Robert Lee Smith of 4983 East Washington Street, La Grange, North Carolina at 10:30 a.m. in preparation for the funeral procession.